Michel Roth is one of France's top award-winning Chefs having won some of the most prestigious competition of haute cuisine In 1985, he won the Pierre Taittinger International Culinary Prize, before receiving the highest award, the « Bocuse d'Or », and the title of « Meilleur Ouvrier de France » in 1991. In addition, on the 14th of July 2006, Mr Roth was named «Chevalier de l'Ordre de la Légion d'Honneur». Always looking towards the future, Chef Michel Roth is now the inspiration for the next generation of chefs, being one of the seven Bocuse d'Or winners currently certified in France. He is also member of the jury for the Swiss Bocuse d'Or and is member of the Grandes Tables de Suisse. 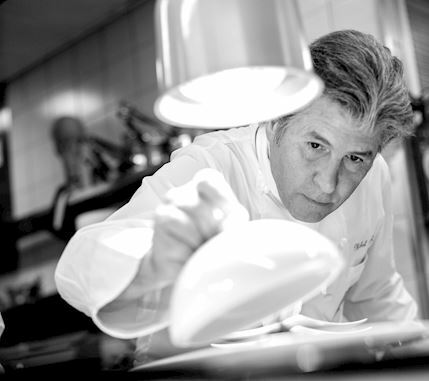 He continued to climb the ladder by working alongside the French Master Chef Charles Herman, then worked as the Second Commis-Chef at the renowned restaurant Ledoyen, before rejoining Guy Legay in 1981 at the illustrious restaurant L'Espadon, in the famous Palace on the Place Vendôme in Paris. 18 years later, he set out on a new adventure as Executive Chef at the René Lasserre restaurant. In 2001, he seized the opportunity to run the kitchens of the restaurant L'Espadon by being appointed Chef and then returned to the luxury Parisian Palace. This important decision will be a watershed in the chef's career as he will be awarded with 2 Michelin stars in 2009. 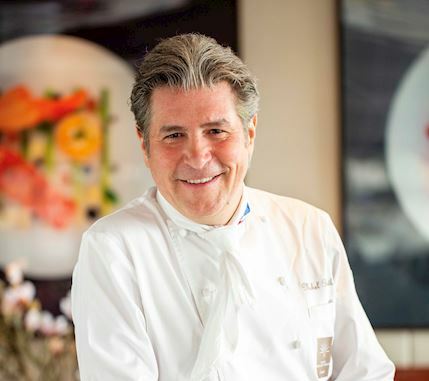 In 2012, the Ritz temporarily closed its doors for renovations so Michel Roth took this opportunity to start a new challenge in Geneva by joining the Hotel President Wilson as Executive Chef and append his signature on the gourmet Bayview restaurant. Since the Chef's arrival, thanks to his team's motivation and hard work, the Bayview has played a starring role among the Genevan restaurants. The success hasn't been long in coming with a first Michelin star in 2013 along with a grade of 17/20 at the Gault&Millau. 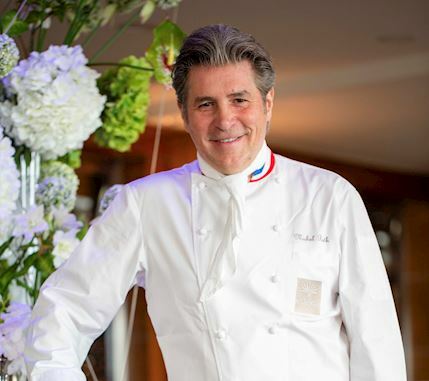 To continue in his ascent, Michel Roth has been elected « Romand of the Year » by the latter and rewarded with an additional point to reach the prestigious grade of 18/20 at the Gault&Millau.